When physician Dale Mole stepped off the C-130 turboprop plane that had landed at the South Pole in January 2012, he felt a twinge of disappointment. It was only minus 25 degrees Fahrenheit. Granted, it was summer—but he had expected worse. “The average winter temperature is minus 85,” he says. As the weeks and months passed, however, the thermostat dropped as low as minus 107. Mole’s exhaled breath would freeze in mid-air; no one dared leave bare flesh exposed more than 10 or 15 seconds; teeth would ache for hours after exposure. The Amundsen-Scott South Pole Station at twilight. Courtesy Dale Mole. In Antarctica, the coldest and most isolated place on the planet, even the simple act of breathing becomes an endurance test. 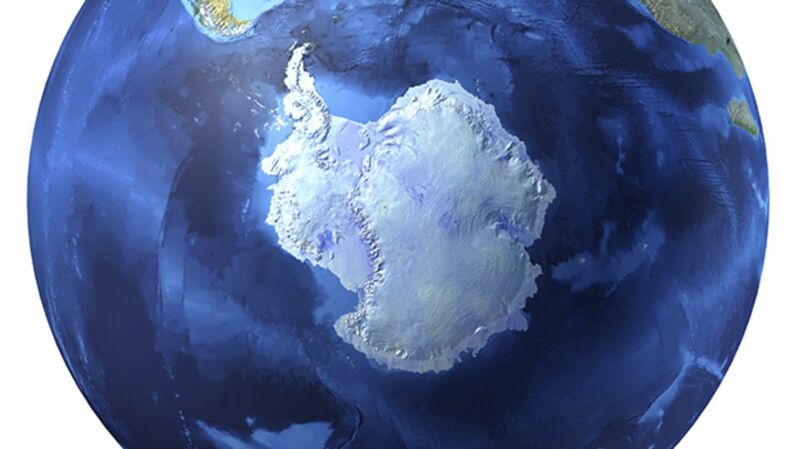 Home to three permanent U.S. expedition outposts—McMurdo Station, Amundsen-Scott South Pole Station, and Palmer Station—it’s inaccessible eight months out of the year due to oppressive weather conditions. Researchers from a variety of countries fly in with the knowledge they’re about to be effectively cut off from the world. But what happens when a medical situation arises? More than 2800 miles from the nearest hospital in New Zealand, Antarctic crews must rely on the expertise of a single physician responsible for upwards of 150 people. (The number varies by season.) Working autonomously, the doctor is charged with analyzing x-rays and blood work, providing aftercare, overseeing pharmaceutical duties and even performing dentistry. Serious conditions that could be managed in a major facility become radical emergencies. Surgery is a major undertaking, and intensive care can’t be sustained. The view from the observation deck. Courtesy Dale Mole. Scott Parazynski, M.D., had spent 16 years in NASA's astronaut corps and was an experienced mountaineer when the offer came to become Chief Medical Officer overseeing healthcare for the National Science Foundation’s U.S. Antarctic Program (USAP). Having tended to climbers all the way to the summit of Mount Everest, he was familiar with the psychological and physical demands of practicing medicine without a net. Physicians who volunteer typically have backgrounds as surgeons or emergency room veterans. When Parazynski selected former submarine medical officer Mole to go to the South Pole, the 63-year-old underwent a rigorous screening: an EKG to assess cardiovascular health, an ultrasound of the gallbladder to rule out any simmering problems, and a psychological test. Once approved, Mole left Denver for New Zealand, which connected him to McMurdo Station. There, a dentist gave him a crash course on fillings and root canals. After a week, he boarded a flight to the South Pole, where his patient base of 49 scientists and researchers studied everything from geophysics to astronomy in a fuel-powered compound; the dry air (the area averages seven percent humidity) forces residents to guzzle four to six liters of water a day. Mole was careful not to touch any metal with his bare hands—it can take the skin right off—and investigated his professional tools, a mixture of modern and museum-worthy. Ventilators, ultrasound, and critical life support devices are also present, though luxuries like an MRI device would be cost-prohibitive owing to the small population. “You’re relying upon clinical judgment and your resourcefulness,” Parazynski says. Because the Antarctic workers are carefully screened for any major conditions, Mole and other physicians frequently find themselves treating conditions common to any industrial environment: slips, common colds, and lacerations. The plummeting temperatures and non-existent humidity also give rise to dry skin conditions and respiratory ailments. One, “the McMurdo crud,” is a hacking cough that tends to nag at patients. Dawn at the American base. Courtesy Dale Mole. The modest inpatient ward. Courtesy Dale Mole. It’s a hypochondriac’s worst nightmare: alone in the Antarctic, with the lone physician too ill to care for anyone else. Modern screenings have reduced that possibility, but the area has been home to a series of legendary crises. Some countries require their doctors undergo an appendectomy to ward off the potential for appendicitis. If that seems excessive, consider the case of Leonid Rogozov, a Russian physician who diagnosed himself with a swollen appendix during a 1961 expedition. Trapped in the Austral winter with no flights in or out—the harsh weather can prevent aircraft from functioning properly—he deputized a few researchers to be his surgical assistants and cut out his own organ using only local anesthesia. He recovered in just two weeks. In 1999, Jerri Nielsen discovered a lump in her breast. She performed a biopsy using only an ice cube to numb the area; upon discovering a cancerous growth, she had drugs air-dropped to her until she was able fly out for treatment. Dental concerns are treated here. Note the armrests for ease of gripping and writhing. Courtesy Dale Mole. Off-duty, Roden says numerous groups were devoted to salsa dancing, knitting, or Doctor Who viewing parties; Mole read, ran four to six miles a day on the treadmill, and ventured outside sporting at least six layers of insulation—anything to stretch out from his cramped 6 x 10-foot living quarters. He says he experienced none of the depression that can result from a lack of sunlight for months at a time. The remains of the cables used to power the station, stacked up by workers and dubbed "Spoolhenge." Courtesy Dale Mole. After 10 months, Mole saw his first plane, thought of his wife, and breathed a sigh of relief. With winter over, he was able to return to the States in November 2012. During his tenure, he had attended lectures on art history, cared for a group requiring everything from dentistry to physical therapy, and trained non-medical staff to provide critical care in the event of an emergency. This story originally appeared in 2015.